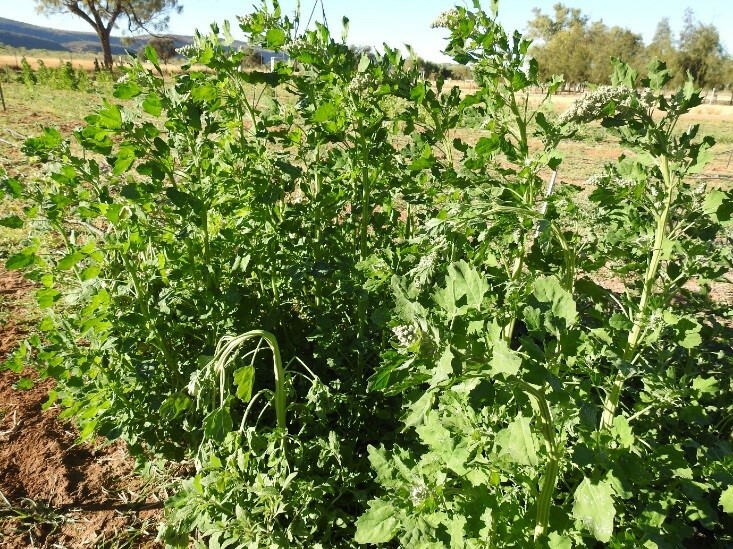 If you have recently dined in one of Alice Springs’ many trendy cafes, you may have come across an interesting new seed ingredient in dishes called quinoa. 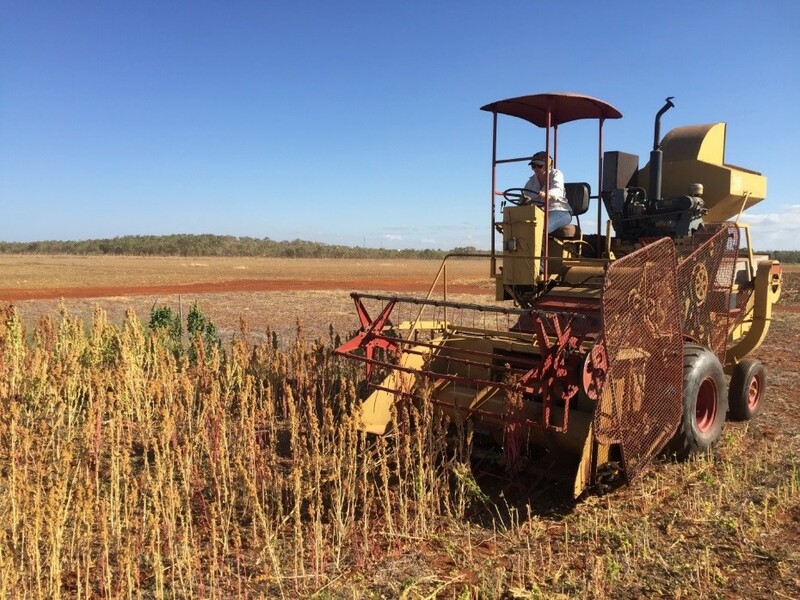 Pronounced “keen-wah”, this seed is from Chenopodium quinoa, and is being planted at the Arid Zone Research Institute (AZRI) as part of a nationwide cultivar trial. The worldwide production of quinoa has climbed from 23000 tonnes worldwide in 1990 to nearly 200000 tonnes today. This could be due to the elevation of the status of this plant to “superfood” status, and as a gluten free substitute for other cereals. Being considered easy to digest, this seed is an experimental crop in NASAs controlled ecological life support system for long-duration human occupied space flights. Its wild relatives originated in the Andes Mountains in South America. The Inca people held the crop to be sacred, calling it chisoya mama or “mother of all grains”. The returns for quinoa are comparable with cereal crops. Although the price for the crop tripled from 2006-2014 due to increased demand, the price has come down as supply from new planting meets the increasing demand. “The crop is relatively small in Australia, but is popular. Our hope is that it becomes a regular part of a crop rotation and can generate cash for our local growers,”The trial shows some positive signs, but the drilling equipment used meant the establishment was poor. “”We planted the crop in May, and those seeds that took off grew well, even getting over the early June frosts, but next time we will try and use a better seed drill and get a better plant establishment,” Stuart said. The next trial has been planted at AZRI, and is emerging now. It will be interest to see how the spring crop performs.